Student Advocate General Grecia Martinez violated Legal Code by withdrawing from Fall Quarter 2018, according to a statement released by Associated Students Attorney General Zeina Safadi. The statement, sent to all Associated Students (A.S.) executives, senators, judicial council members and the executive director on Feb. 26, came after several weeks of investigation into Martinez’s case. Martinez, a fourth-year history of public policy major, withdrew from Fall Quarter 2018 on Dec. 7, citing personal reasons. As stated in section Article XVI, Section 5(A) of Legal Code, all executives are required to complete at least six units during their terms of office. By withdrawing from Fall Quarter 2018, Martinez violated this section of Legal Code, Safadi said. However, it is unclear if Martinez will face any repercussions for the violation. In the statement, Safadi emphasized that there are no discernible consequences in Legal Code for executives who do not complete the required six units. “The ambiguity of the legal code on the Ms. Martinez’s case is simply a microcosm of the larger problem at hand with the text: countless incompletions and uncertain instructions that arise only when cases pertaining to such occur,” Safadi wrote in her statement. 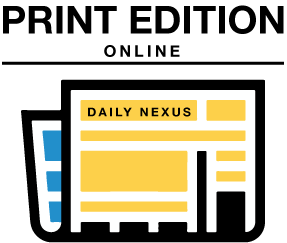 Safadi also referenced the Daily Nexus article which found that four executives over the last five years were either not enrolled or took fewer than six units during their terms of service. Previously, it was unclear what it meant for elected officers to “complete” six units, Safadi noted in a previous interview. “Upon communication with the Office of the Registrar at (805) 893-3592, University Policies were made evident and withdrawing from a quarter equates incomplete units and therefore it would not have been possible for Ms. Martinez to meet that (6) unit requirement expected from “Appointed and Elected officers,”” she wrote in her statement. She also said she believed the main point of Safadi’s statement was to draw attention to the lack of clarity in Legal Code. The issue of eligibility has come up several times during the 2018-2019 school year within A.S., most prominently with Martinez and former On-Campus Senator Yasamin Salari. Salari was removed from her position early last week after Judicial Council ruled that she violated the eligibility portion of the code by living off-campus. In response to Salari’s situation, and to the ambiguity of Legal Code, Letters & Sciences Senators Ricardo Uribe and Xochitl Briseno presented a bill that would update the eligibility section of Legal Code at the Feb. 20 Senate meeting. The bill would give the Student Advocate General (S.A.G.) and the A.S. Executive Director, currently Marisela Marquez, the power to grant elected officials a one-time exception for failing to meet the eligibility requirements spelled out in Legal Code. An original version of the bill was written to only apply to senators, but an updated version sent out two hours before the Feb. 20 Senate meeting was expanded to include all elected officers, including executives. The bill has since been tabled twice. Martinez serves as a student sponsor on the bill, and said that as the only non-partisan office in A.S., she felt the S.A.G. was the best equipped to decide whether or not to grant an elected officer a one-time exception. Safadi offered her office’s guidance to any senators who were interested in updating Legal Code, and urged the Judicial Council to write an advisory statement to the Senate to support its necessity. As she is Hispanic, you must be a racist. 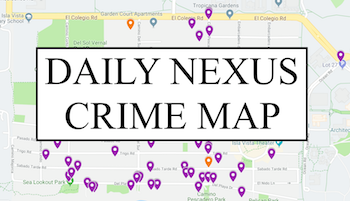 Is a Daily Nexus app coming soon?